This ones just the perfect breakfast on a morning when it’s still dark outside , warm and comforting , tasting like heaven and also it’s super easy to make . How to : add oats and milk to a sauce pan and heat it up , mash up one banana and mix it into the mixture . Let that cook for a minute then transfer into a bowl , top with walnuts and maybe some agave or maple syrup and enjoy ! 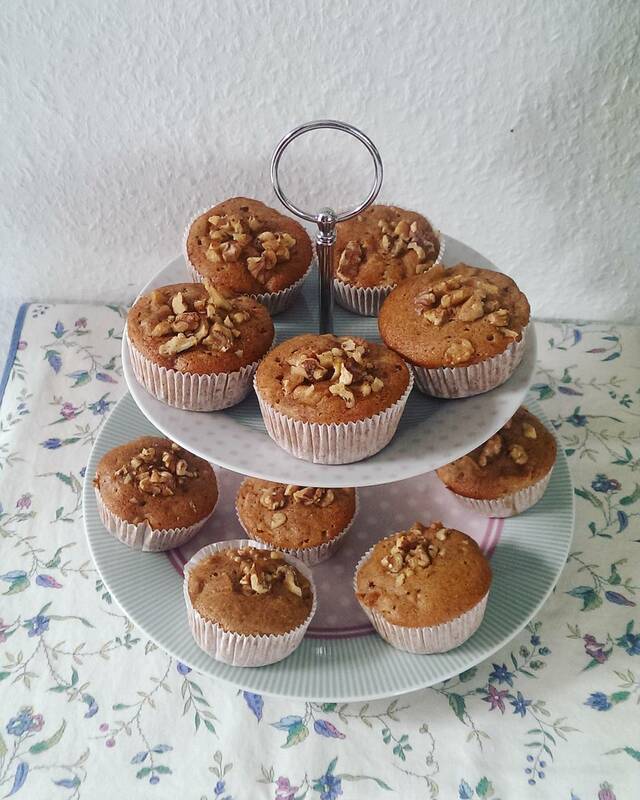 Next are these easy and delicious muffins which I am sure you will love , they are moist yet crunchy . NO Oil and healthy ingredients only . What you will need : 190 grams of flour , 120 grams of sugar , 150 ml of vegan milk 2 tsp of cinnamon , 1 tbsp of baking powder , 100 ml of apple sauce , 1 big chopped apple . I love soups especially in the autumn and winter time , they are just so nice and comforting . This one will make you feel so nice and cozy , and it also features the love of my life : sweet potatoes . So let’s get started . 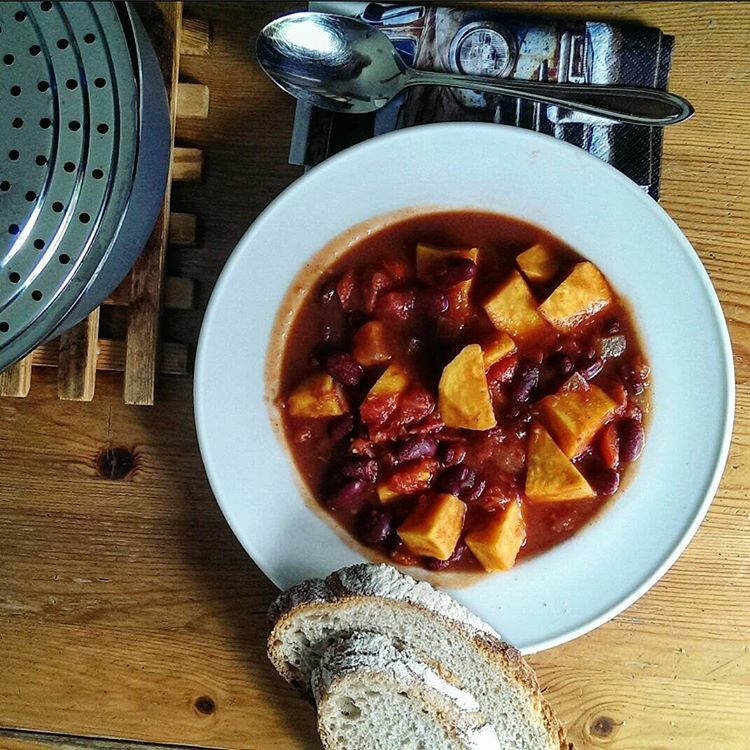 You will need : half an onion , one sweet potato , 1 can of tomato sauce , 1 can of kidney beans , salt and pepper, paprika powder and chili powder . Start by heating your pan and add the chopped onion and sweet potato with a plash of water , so it doesn’t get burned. let this cook for about 5-10 minutes until the SP is soft , then add the tomato sauce , kidney beans ( don’t forget to rinse them!!). Then add some spices , you can use all you want . Let that cook for another 10 minutes . Serve with bread , because bread is amazing!! That is it for now, I hope you like it and let me know if you try any of them .